We are driven to keep you driving. Our long term employees and financing partners are committed to getting the job done right the first time. 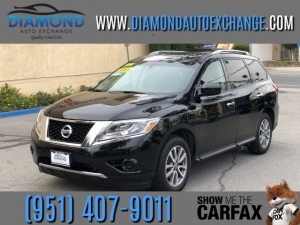 Diamond Auto Exchange aspires to be Southern California’s go-to used car dealer through integrity, commitment and a customer experience you will never forget. We are a family owned and operated dealer and we ensure every customer feeling like part of the Diamond family. Accountability: We hold everyone accountable and assume responsibility for our actions. Support: Our sales and management team engage and consult with all of our customers. Professionalism: We serve our customers in a professional manner. Integrity: We operate with ethics and honesty in order to fulfill our obligations. Respect: We value and respect the privacy of our customers and their families. Excellence: We always strive for greatness and promote improvement.